Soda fired using the same clay body the workshop participants will use. Participants will have an in-depth and hands-on opportunity to learn how to fire the KC Clay Guild Soda Kiln. 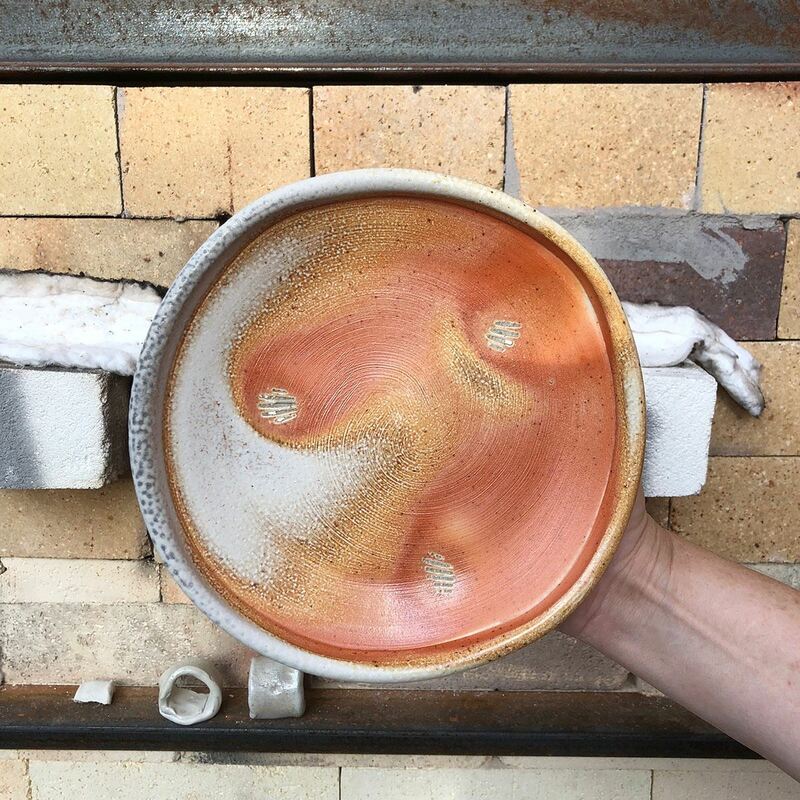 Louis Reilly completed a MFA in Ceramics in 2013 with soda firing as the focus of his thesis. Louis worked on developing unique clay bodies that interact with the sodium vapor in the kiln to form beautiful surfaces without the application of slip or glaze. In this workshop, Louis will share his graduate research with the students. Students in the workshop will gain an understanding of firing the KC Clay Guild Soda Kiln to great success! Students create pots using Louis' custom clay body and have them bisque fired. Students will have access to studio to make pieces. Pieces with smooth surfaces, broad planes, and clean shapes will interact best with the sodium vapor. -The more time you spend at the kiln during the firing, the more you will learn. If you hope to learn how to fire this kiln, plan on being at KCCG all day on Saturday.